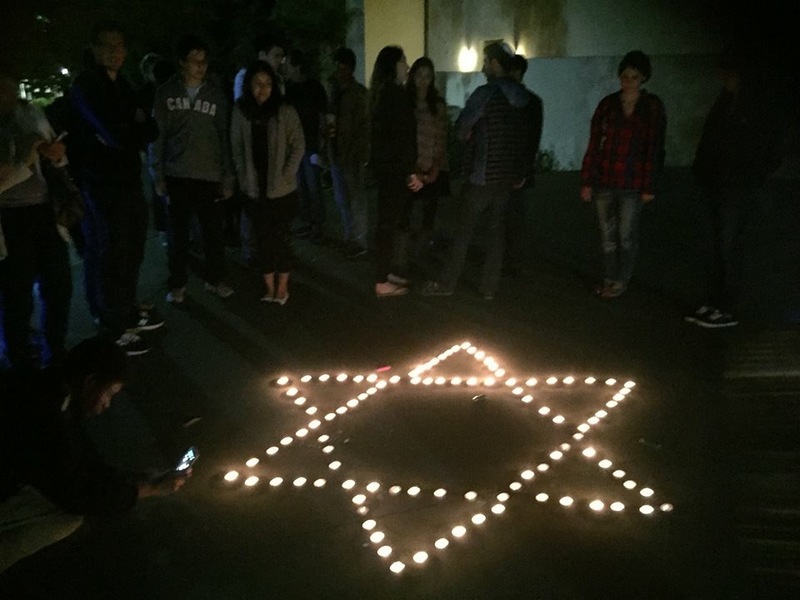 Members of the Stanford community came together to remember the lives of nine Israeli victims of recent terrorist attacks at a Sunday evening vigil hosted by Cardinal for Israel (CFI). The vigil occurred only days after students had gathered in White Plaza in silent protest of what they have called an Israeli occupation of Palestine. Violence perpetrated by Palestinians against Israelis has been growing since Rosh Hashanah, the Jewish New Year, according to the Wall Street Journal. Attacks have left nine Israelis dead and over 60 seriously injured. The first attack occurred on Sept. 14, when Palestinians threw rocks at a driver’s car in East Jerusalem, causing him to fatally crash. The driver, Alexander Levlovich, was 64 years old. As the violence has escalated, over 40 Palestinians have been killed and 1,770 injured by live fire or rubber bullets, according to the Palestinian Health Ministry, some of whom perpetrated these acts of terror against Israeli citizens. However, many of these Palestinian civilians were not the attackers and were killed in clashes with Israeli troops in the West Bank and Gaza. These clashes are the result of tightened security by the Israeli Defense Force (IDF) in response to the terrorist attacks. Militant groups, such as Hamas, have praised the attacks against Israelis and called for a third intifada, an organized uprising by Palestinians against Israel. Palestinian President Mahmoud Abbas has not supported further escalation. The reaction on Stanford’s campus to the increased violence between Israelis and Palestinians has been varied, representing many sides of the complex situation. This past Friday, a group of students gathered in White Plaza with black tape over their mouths, bearing signs condemning what they believe is an Israeli occupation of Palestine. Fatima Zehra ’17, co-president of Students for Justice in Palestine (SJP), explained that Friday’s protest was a preemptive response to Sunday’s vigil. CFI president Miriam Pollock ’16 responded to Zehra’s comment in a message to The Daily. Sunday’s vigil focused primarily on the murders of Israelis over the past month and the terrorist attacks committed by Palestinians against Israelis. Pollock emphasized that the objective of the vigil was to provide members of the Stanford community affected by the terrorist attacks with a space to mourn those who have died and an opportunity to support Israel during this time of increased violence and terror. During the vigil, community members gathered around the stage in almost complete silence. An older man stood in the back of the crowd holding the Israeli flag, and another man wore an Israeli flag over his shoulders like a prayer shawl. On the stage, four student speakers stood in front of candles arranged to form a Star of David. Kaplan-Lipkin’s words captured why many chose to come to the vigil. Avera herself is Israeli and has experienced a terrorist attack in Israel. As the Israel Fellow, she works at Hillel to coordinate events about Israel. The vigil closed with the singing of a song of peace and the lighting of candles. CFI plans to continue to spread awareness of the violence in Israel through a social media campaign using #ItCouldBeMe, along with student groups at UCLA, UC Berkeley and other California schools. “The basic idea behind it is that it could have been any one of us that are in charge of hosting this event that had been killed,” Pollock said in reference to #ItCouldBeMe. However, the entirety of the Jewish community at Stanford does not necessarily agree with the position of Cardinal for Israel. In the coming weeks, Jewish community members will be hosting a memorial for lives lost in both Israel and Palestine. “Help us honor Palestinian and Israeli lives recently lost in Jerusalem with interfaith prayer and a call for a just solution to the Israeli-Palestinian conflict,” read flyers for the event. Matthew Cohen ’18, a member of the Jewish community, chose not to attend Sunday’s vigil, hosted by CFI, but plans to attend the memorial gathering. The current escalation of violence in Israel has deeply affected many in the Stanford community. Some identify with the Israeli side, themselves having experienced terror attacks in Israel. Others identify with the Palestinian struggle of life under Israeli occupation. In his final words to the crowd at Sunday’s vigil, Kaplan-Lipkin captured this complexity and perhaps the only common ground at the moment in this conflict. A previous version of the article was titled “Cardinal for Israel hosts vigil for Israeli victims of violence in Palestine”; however, the vigil commemorated victims in Israel. The Daily regrets this error.